Our care is centered on you. We take the time to listen to you and understand your concerns. When it comes to dental procedures, treatment can sometimes be confusing. During consultation appointments, patients may have many questions about their dental care. We educate our patients so they are well informed about the options available for replacing teeth, so they can make better decisions about their health and well being. We provide you with the best solutions to match your expectations. 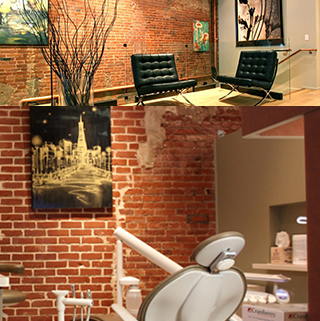 Our office offers personalized services that meet your unique dental needs. We understand the importance of maintaining excellent oral health. Creating a beautiful smile promotes confidence and contributes to your overall well-being. We strive to provide you with the best care in a relaxing and comfortable environment to meet your individual needs. Our emphasis is not on making quick treatment decisions. We focus on emotional care and convenience, respecting your privacy, timetable and daily commitments. Our philosophy is that dental care is patient-focused. We believe in listening to you and understanding your concerns to help you achieve your treatment goals. Care is guided by the best evidence available and follows or exceeds recommended guidelines. We are committed to providing you with outstanding service to meet your expectations. We respect your time and will accommodate your schedule. We are available for early morning, evening and weekend appointments as well as for emergency care. We are conveniently located in San Francisco’s financial district. Dr. Azim is a prosthodontist with specialty training in treating complex restorative needs. His areas of expertise are aesthetic and implant dentistry. He has extensive experience in advanced prosthodontic treatments such as smile makeovers, porcelain veneers, full mouth rehabilitation, complete and partial dentures, implant dentures, sleep apnea appliances, and TMJ disorders treatment. He graduated from the University of Rochester School of Medicine and Dentistry, where he completed a 3-year postgraduate prosthodontics residency program. He is a fellow of the International Team for Implantology, a member of the American Dental Association and the American College of Prosthodontists. Dr. Azim’s experience as prosthodontist goes beyond clinical practice to include dental education and research. As an Associate Professor at the University of Louisville School of Dentistry, Dr. Azim served as the director of the pre-doctoral implant curriculum. He directed several continuing education courses for dentists, specialists, residents and dental students.Dr. Azim lectured nationally and internationally on dental implants, complex rehabilitations, and digital dentistry. His research has been published in the leading peer-reviewed journals in the fields of prosthodontics and implant dentistry. He is also a member of the editorial board for several dental journals. Dr. Azim welcomes new patients to his practice located in the financial district in San Francisco.